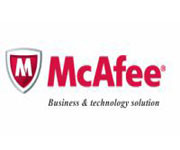 McAfee integrates real-time threat protection with automation features to streamline policy processes, event responses, management, audits, and reporting. 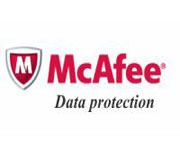 With powerful solutions that keep you compliant, manage risk, and protect your critical infrastructure, McAfee enables you to focus on business priorities beyond security. 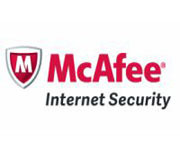 From providing a comprehensive and actionable look at the biggest risks facing your business, to helping your enterprise meet industry and government regulations, McAfee simplifies security, saving you time, effort, and expense. McAfee email and web security solutions provide best-in-class protection from phishing attacks and sophisticated malware. Our Security Connected framework protects your data going to and through the cloud, while minimizing the cost and complexity of security. Additional policy-based inbound and outbound email and web security controls enforce legitimate-use rules and meet compliance requirements. Today’s advanced attacks require more than traditional antivirus defenses. 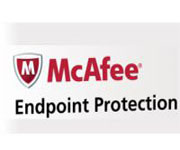 The good news is that it doesn’t have to be overwhelming thanks to McAfee Complete Endpoint Protection solutions. Our enterprise endpoint security solutions are centrally managed and defend against the full threat spectrum from zero-day exploits to advanced targeted attacks, protecting Windows, Macs, and Linux systems, as well as iPhones, iPads, and Android smartphones and tablets. Our network security solutions include network intrusion prevention, advanced sandboxing detection, and a next-generation firewall, all designed from the ground up to work together and protect your network from the next generation of network-based attacks. Built around the concept of Security Connected, our framework provides maximum availability, flexibility, and manageability with minimum overhead and risk. With a proven record in network security protection, Intel Security is the partner of choice for the most security-conscious companies and governments worldwide.